Halloween will be released October 19 through EVP Recordings under exclusive licence from Sacred Bones Records on CD and Australian exclusive orange/black LP. Sucker Punch does the unthinkable. While the film may well be one of the worst films to surface this year, the soundtrack simply has to be one of the best. This is a sensational soundtrack that is only let down by the fact that it is only nine songs long. One of the things that really surprises you when you first hear the Sucker Punch Soundtrack is that young actress Emily Browning has a voice that would put most pop-stars to shame. She is amazing and clearly shows this on the opening track, “Sweet Dreams (Are Made Of Us)”. If you thought that Marilyn Manson’s version of this track was good … well Browning’s blows it completely out of the water. The unlikely pairing of Bjork and Skunk Anansie also produces a classic track with the Sucker Punch remix of “Army Of Me”. Skunk Anansie’s music gives the track a strong cinematic feel while the power and passion of Bjork’s vocals make this a real classic song. However, the same can’t be said for Emiliana Torrini’s “White Rabbit”. Her voice may be up to scratch but the song never really reaches the heights it was aiming for. The producers of the soundtrack also make a brave choice when they choose to mash up the Queen classics “I Want It All” and “We Will Rock You”. And while rock purists may faint at the thought of these two being held together by the rap of Armageddon (aka Geddy), the song actually does work remarkably well and is a track you’ll keep returning to. It’s like a guilty little secret. “Search And Destroy” sees Skunk Anansie go punky while the good “Tomorrow Never Knows” sees Carla Azar and Alison Mosshart enter the studio together. However, these tracks are quickly over-shadowing when Emily Browning returns with a haunting Decoder Ring-like track named “Asleep”, however it is her vocals on the epic “Where Is My Mind” (with Yoav) that really do show that she has the talent to make it as a singer. This even outshines the jazz-rock of “Love Is The Drug” by Carla Gugino and Oscar Issac. While the film totally disgraces itself the soundtrack really does deserve a listen, even if only for the excellence of Emily Browning. In time this soundtrack will be considered a classic. It isn’t very often that you go and see a movie and leave thinking the best thing about it was actually the soundtrack. But that is certainly the case with new film Sucker Punch. While the film is dreadful the soundtrack certainly isn’t… the only gripe you can make is the fact that there is only nine songs… at least they are mainly songs of quality. 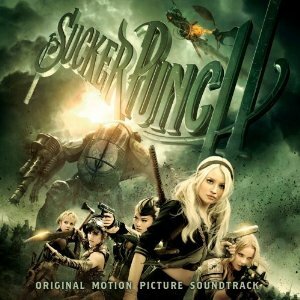 The big surprise on the Sucker Punch Soundtrack is how good of a singer young actress, Emily Browning is. She is absolutely stunning. Her vocal work on opening track, “Sweet Dreams (Are Made Of Us)” make the reworking of the old classic a must listen. She is so good that she nearly eclipses the version of this track that Marilyn Manson recorded a few years ago. 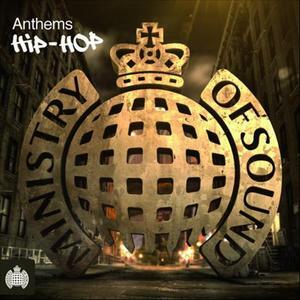 This is followed up by yet another classic track, Bjork and Skunk Anansie teaming up together to produce a Sucker Punch Remix of “Army Of Me”. Bjork’s powerful and passionate voice makes it a classic while the music gives it a real cinematic feel. The album does dip a little with Emiliana Torrini performing “White Rabbit”. While her voice is good the song never really reaches the crescendo it was aiming for. Another standout is the “I Want It All/We Will Rock You Mash Up” featuring original vocals by Queen but also containing some great rap work from Armageddon (aka Geddy). While many may say it is blasphemy to tamper with two classic songs like this, this time around it actually does work. Skunk Anansie turn to punk on “Search And Destroy” while the good “Tomorrow Never Knows” sees Carla Azar and Alison Mosshart team up together. Emily Browning returns with the haunting “Asleep” (where she sounds like Decoder Ring) while her work on the epic “Where Is My Mind” (with Yoav) once again proves that someone out there needs to offer the girl a record contract. The album then closes with the average jazzy-rock sound of Carla Gugino and Oscar Issac teaming up on “Love Is The Drug”. Done the track it’s obvious that this soundtrack could genuinely be recognized as a piece of brilliance in itself… it’s just a pity it is tarnished by the crap film that comes along with it.